2017 was a crazy year. And 2018 showed no sign of letting up. May will be in and out of Downing Street. 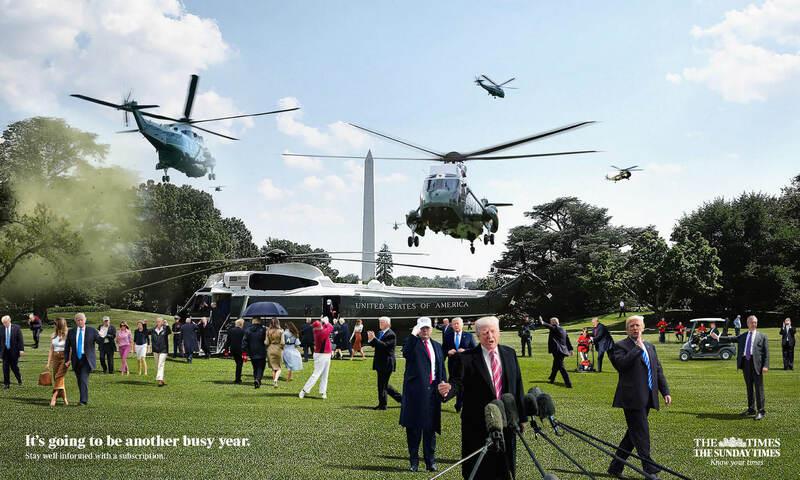 Trump will be up and down in his chopper, and off to play golf. 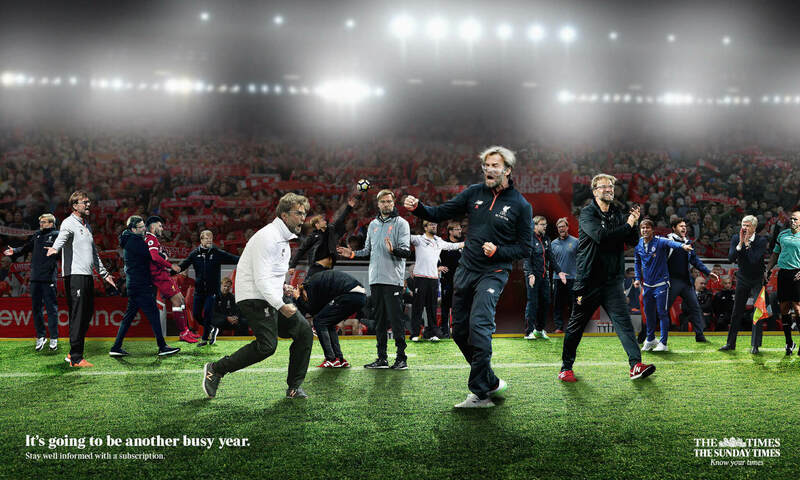 Klopp will no doubt continue his emotional rollercoaster ride. 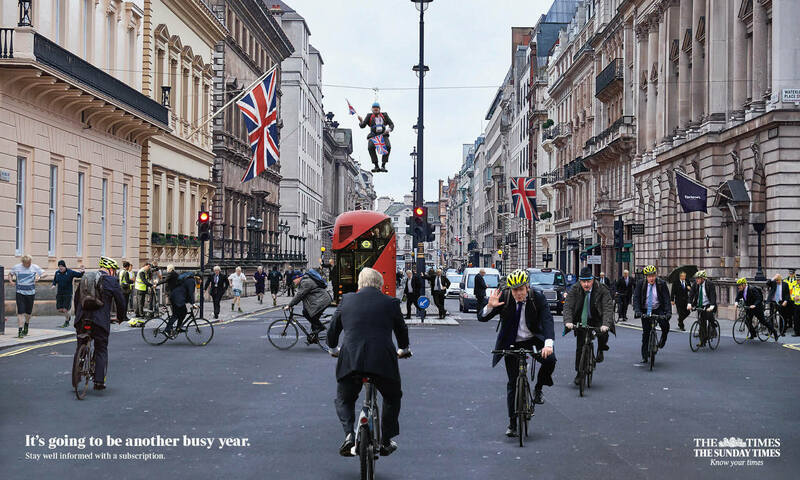 And Boris will be peddling hard. 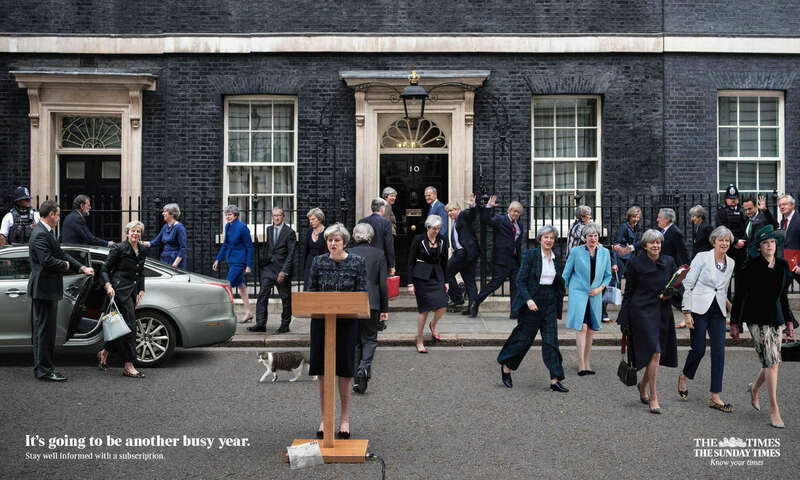 We used January to tell people that the only way to stay well informed on the comings and goings of politics and sport, is with a subscription to The Times.